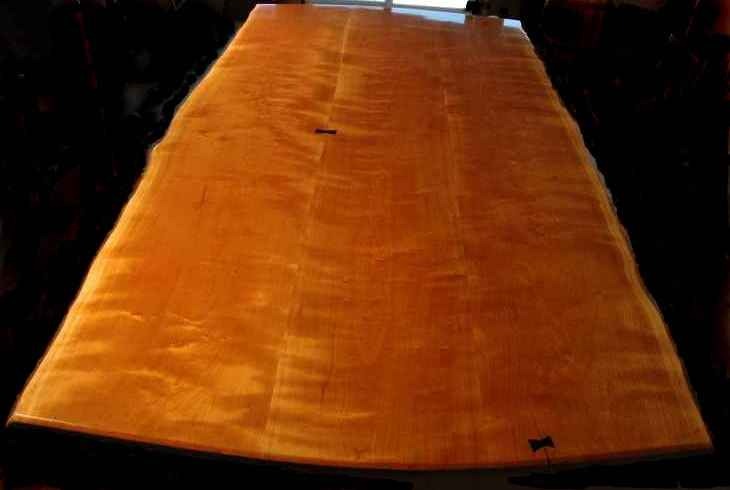 For generations, Dumond’s Custom Furniture has been a symbol of quality craftsmanship and lasting value. Each piece of furniture is meticulously handcrafted from only the finest woods and finishes. Whether you decide to purchase one of the custom made wood slab bed for sale below or you decide to have a custom wood slab headboard made to fit your personal style, you can rest assured knowing that your new furniture is built to stand the test of time. Beautiful custom Walnut slab kitchen island and curly Maple slab kitchen island. This unit features cookbook holder on the end, 2 place settings for bar stools, and 12 deep drawers with brushed nickel pulls. Enough room for pots and pans, casserole dishes, bake ware and flatware drawers. Custom wood slab kitchen islands built in walnut, cherry, and maple. Rustic Cherry Slab Kitchen Island with Cherry Slab top, maple base. Custom rustic wood slab kitchen islands made to order from unique wood slabs. 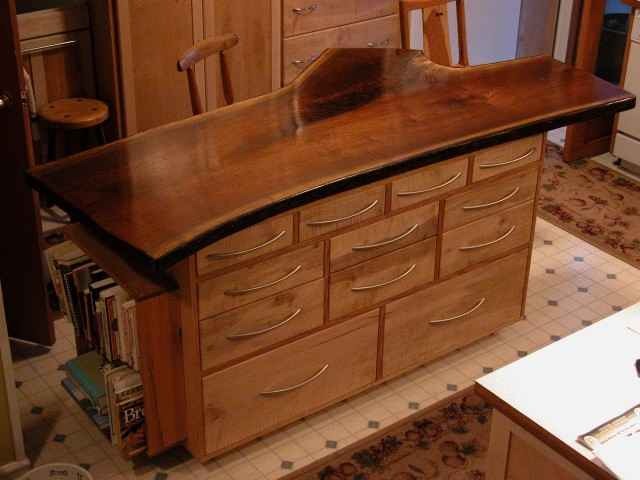 If you’re looking for a custom built kitchen island to fit your home or cabin, we can help you out! Let’s say you already have an idea in mind of a custom wood slab kitchen island that you would like to have. You can submit your idea to us via our Request A Quote Form or call us directly at (406) 777-3772.